Galveston Island July 4th Parade And Fireworks will beWednesday July, 4, 2018 at 7:30 p.m. The glittering parade will feature a procession of floats, decorated military vehicles, and performers. The parade kicks off at 7:30 p.m. starting at 59th Street and Seawall Boulevard. The parade travels east and ends at 25th Street and Seawall Boulevard. After the parade, the dazzling 20 minute fireworks show will be launched over the Gulf of Mexico at 9:15 p.m. near 37th Street and Seawall Boulevard. A great viewing spot for the fireworks is The Spot, located at 32nd Street and Seawall Boulevard. 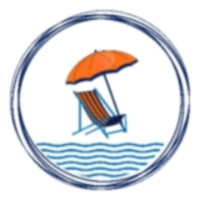 Galveston Historical Foundation 44th Annual Homes Tour is the first two weekends in May. The Galveston Historical Foundation opens the doors to Galveston’s architectural history through public tours of privately owned homes. Large, small, and everything in between, the 2018 tour will have something for everyone. There are 8 historic homes on tour for 2018. 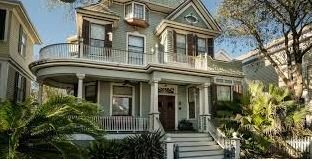 The Galveston Historic Homes Tour is held from 10 a.m. to 6 p.m. on Saturday, May 5th and Sunday, May 6th. The Homes Tour is also Saturday, May 12th and Sunday, May 13th. You can start at any of the homes on tour. There is not a set path of homes to see in any particular order. Tours can start at any of the homes and you are able to view them in the order you prefer. Tickets are $30 prior to May 4, 2018 and $35 after. Tickets can be used all four days of the tour, however, you can only view a home once. The Galveston Historical Foundation will also be presenting two select properties as part of a Rehabilitation in Progress showcase. These homes show how the Galveston Historical Foundation continues to preserve the island’s history through inventive green technologies and stewardship. Tall Ships® Galveston Salute To Sunset Parties invites you to toast the end of the day and beginning of the evening. 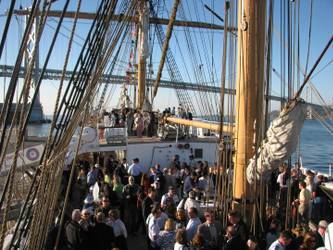 Ticket holders will enjoy access to tour one of the participating Tall Ships® after daytime tours conclude. Complimentary craft beer and light hor d’oeuvres are included. This event is sponsored by Galveston Historical Foundation’s Texas Seaport Museum located at Pier 21 in the Strand Historic District. The Sunset Parties will be held from 7:00 p.m. to 9:00 p.m. each night of the event. Tickets are $50 per person. The Tall Ships® Parade Of Sail On Galveston Island, TX is the official opening of the 2018 Tall Ships® Galveston. This event kicks off, Thursday, April 5, 2018 at about 1:00 p.m. The Tall Ships® Parade Of Sail will depart from Each Beach under full sail (wind/weather permitting). Galveston’s own, the 1877 Tall Ship Elissa will lead the 6 stunning Tall Ships®. The Tall Ships® travel west along Galveston’s iconic Seawall Boulevard beachfront. The Tall Ships® turn around at 35th and Seawall Boulevard and head back to East Beach. This free event will be one of the most exciting photographic events of the year for Galveston Island. Pack a picnic lunch and find your perfect spot on Seawall Boulevard. Or, a popular viewing location is the Float Pool and Patio Bar located at 2828 Seawall Boulevard, Galveston, TX. 77550. Enjoy a cold beverage on their upper deck as these beautiful ships sail down the Galveston coastline.